90 day photo project: . 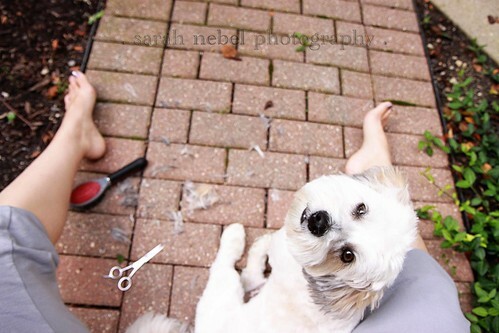 day 28 .
. i used to groom dogs and am always surprised that when i trim herky up that it comes back so naturally . he's such a good boy, i wish they all had been as good as him . Aw...fun picture. Love Herky's brown eyes! So cute!